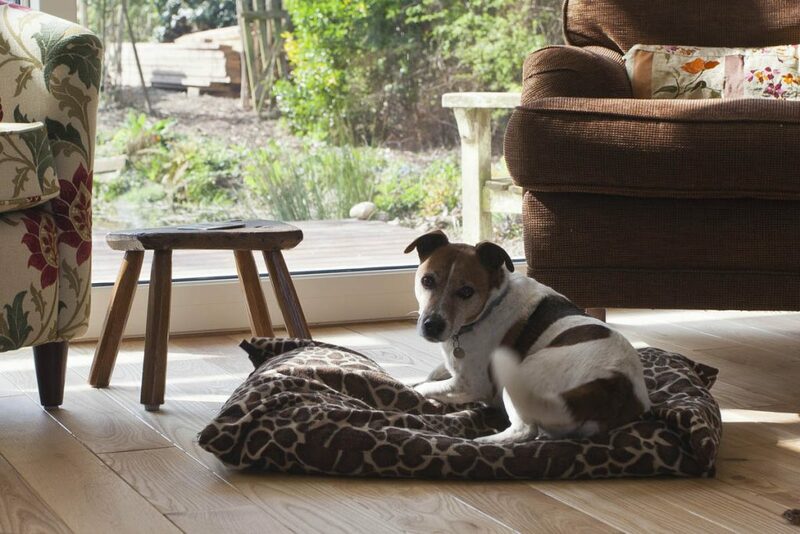 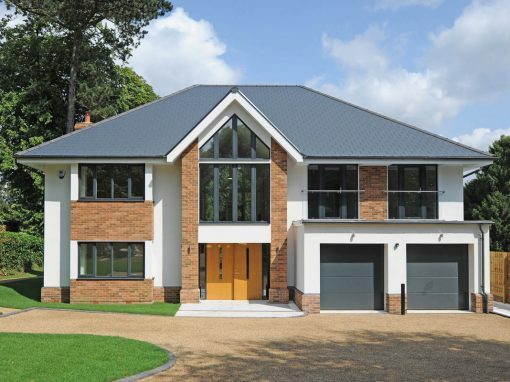 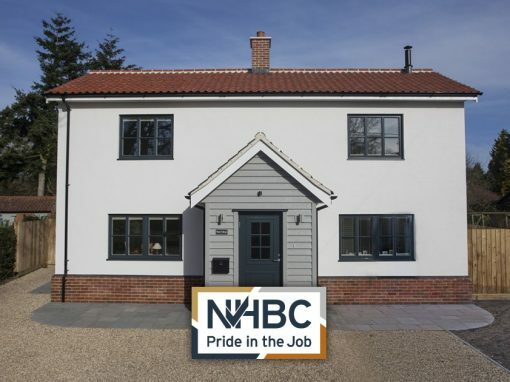 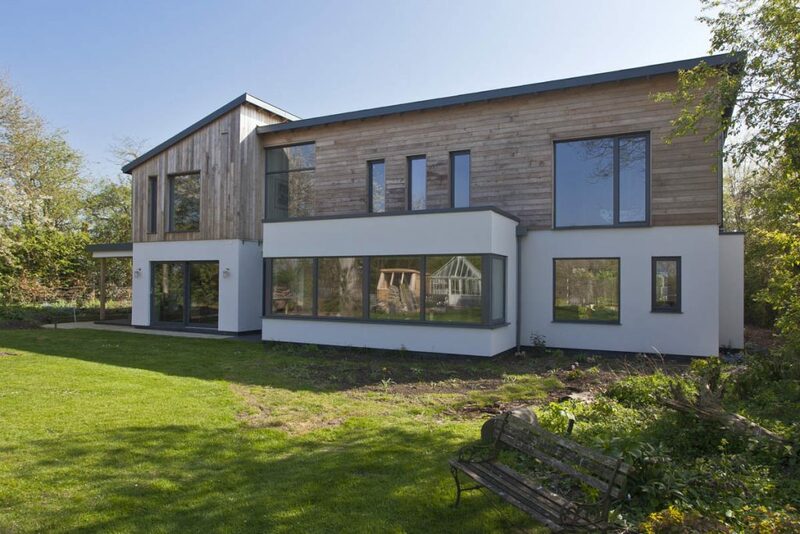 A truly successful contemporary self-build design in the heart of Suffolk. 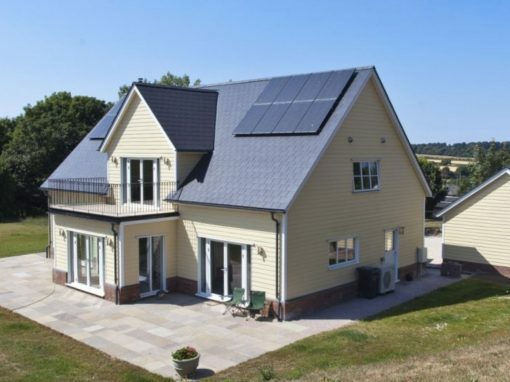 Svenskhomes combined our Swedish technologies into the design to realise the clients dream of achieving an A Rated energy performance certificate in their new eco-friendly family home. 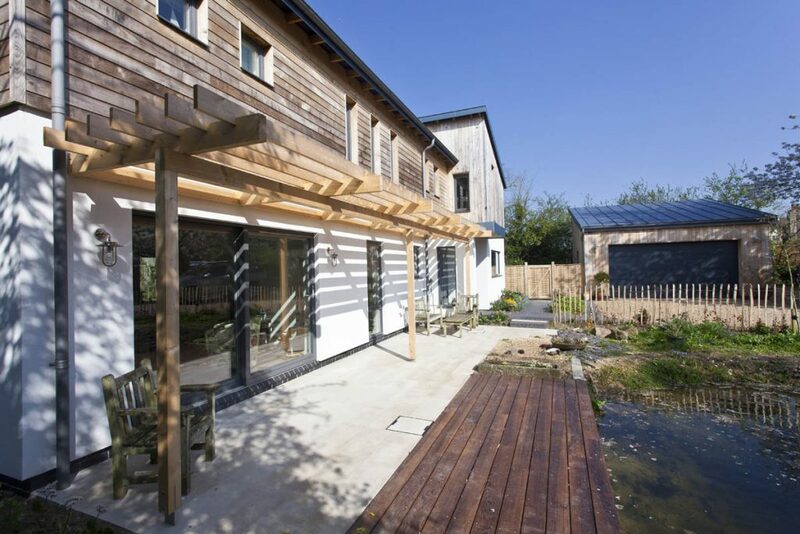 With a minimum target of A-Rated 92 set, we worked on the technical drawings issued by the architects, to design and construct the timber fame pre-fabricated superstructure, applying our special junction details to all elements in the design we ensured that all thermal bridges in the property would be as energy efficient as possible. 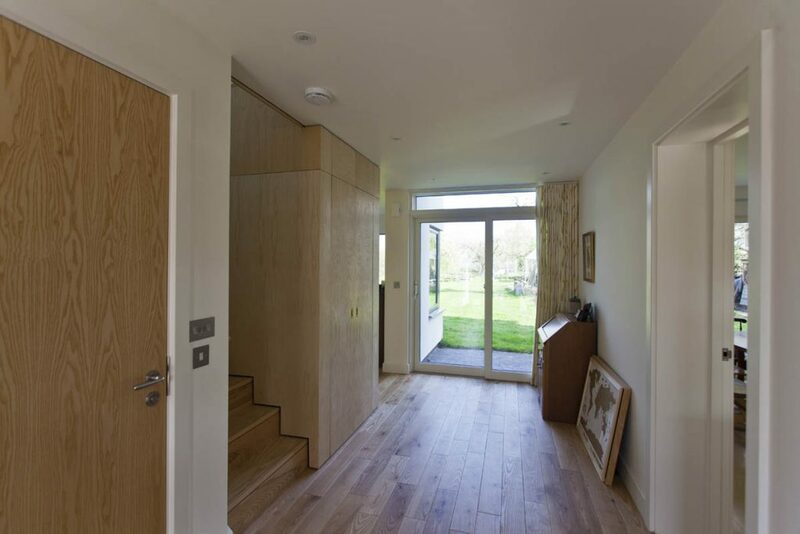 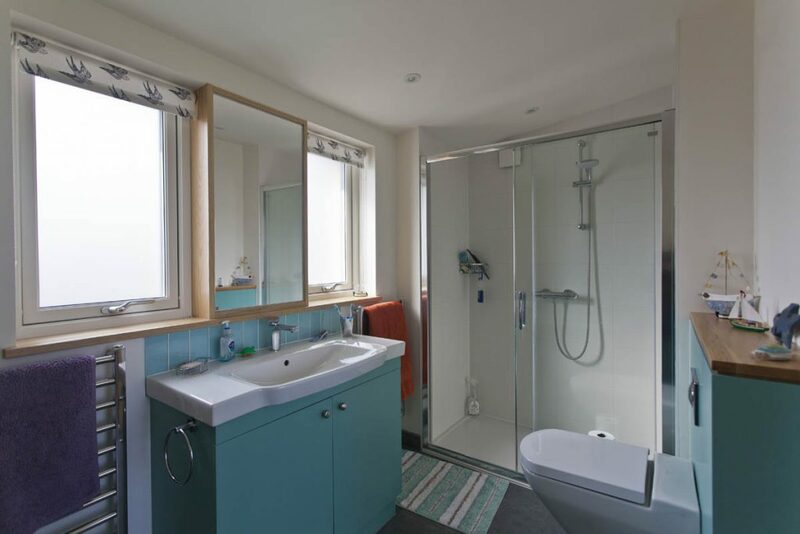 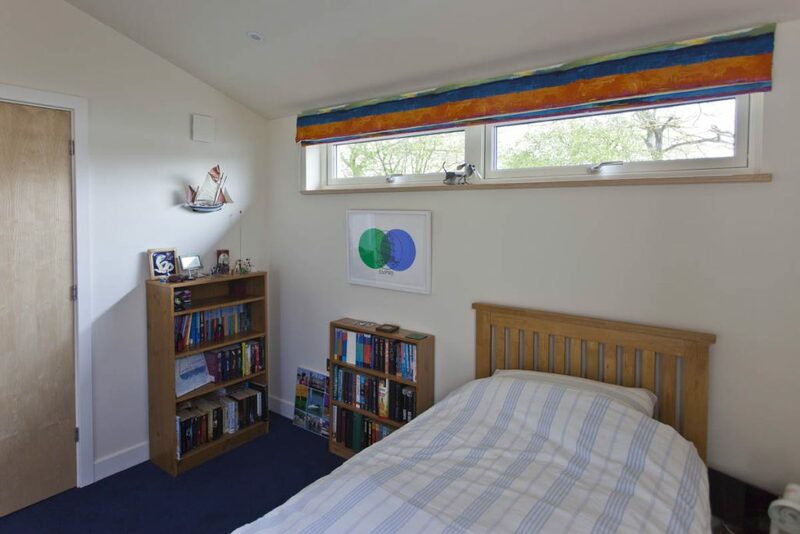 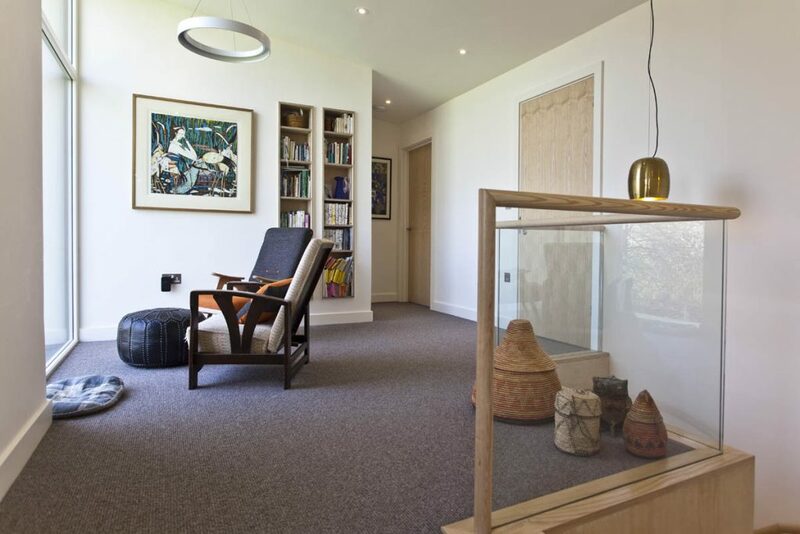 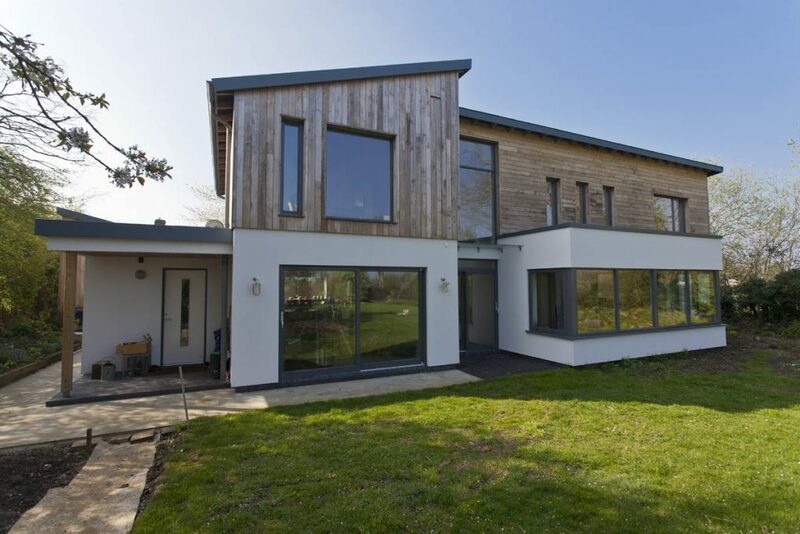 With our approach to high fabric efficiency, air tightness and a minimal selection of renewable technologies it was possible to set the parameters for building to achieve the desired targeted A-Rated status realising the clients dream of a cost neutral eco-home. 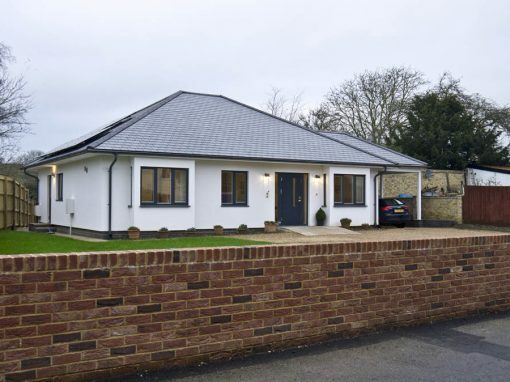 Svenskhomes were involved with the main contractors providing the foundations and visited the site 2 weeks prior to the house arriving to ensure the sole plate was fitted correctly to mount the house effortlessly. 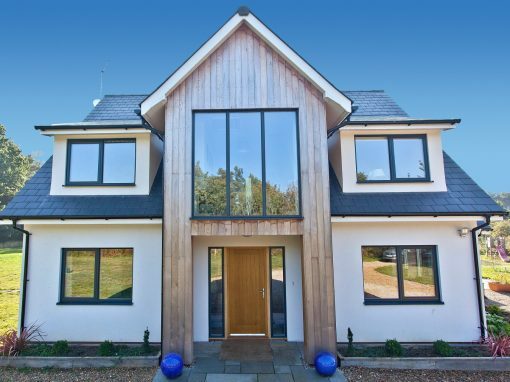 Svenskhomes completed the delivery of the timber frame ready for the 1st fix electrics and plumbing to commence. 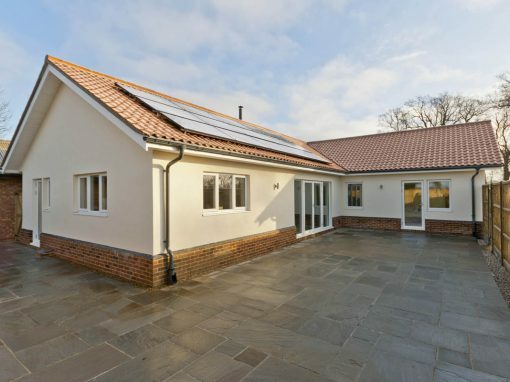 The flexibility of the Svenskhomes timber frame building system, made it easy to incorporate the contemporary and striking mono pitched roof with vaulted ceilings on the first floor. 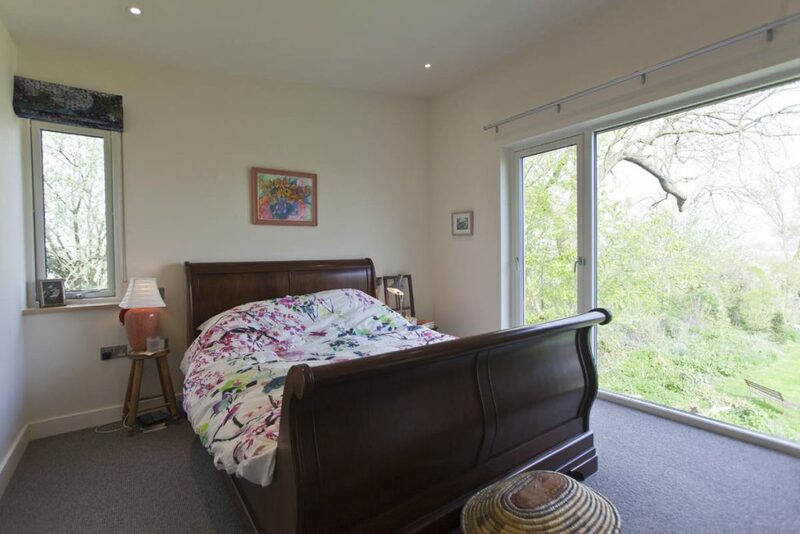 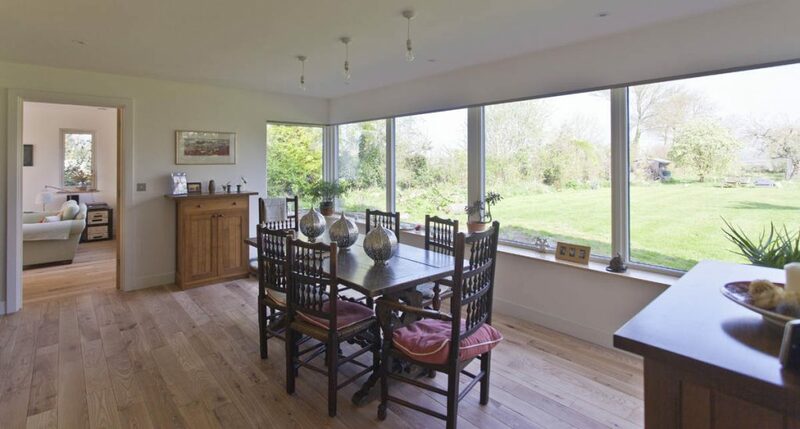 There is also a flat roof structure over the dining room with bay windows offering panoramic views of the garden. 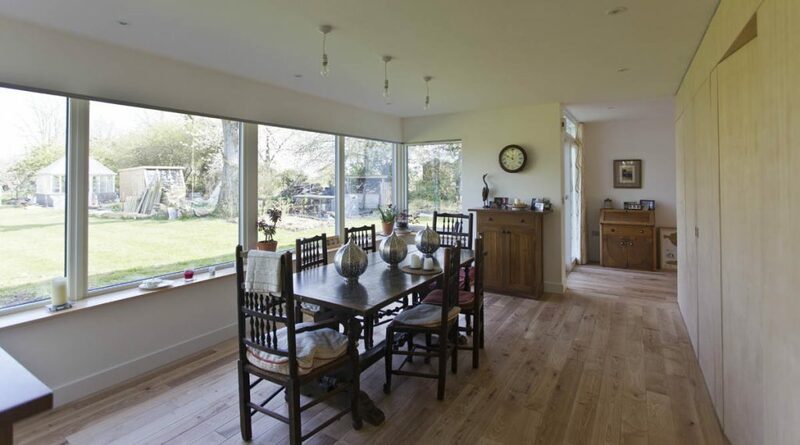 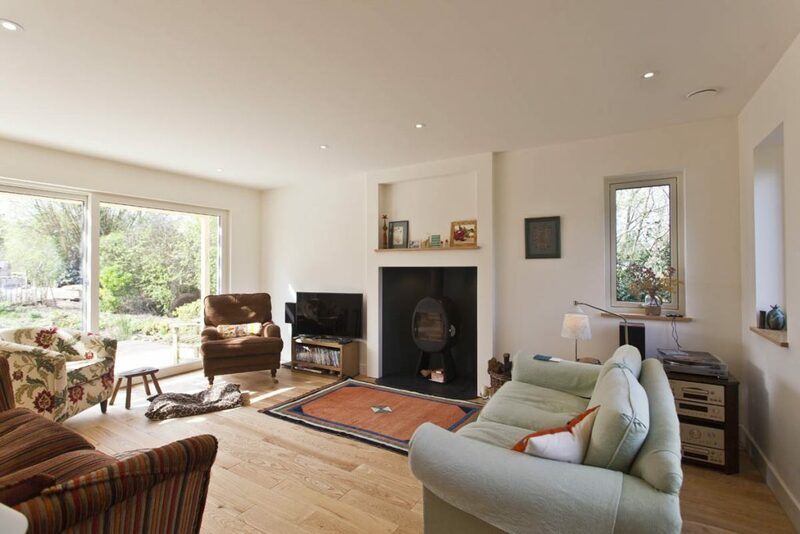 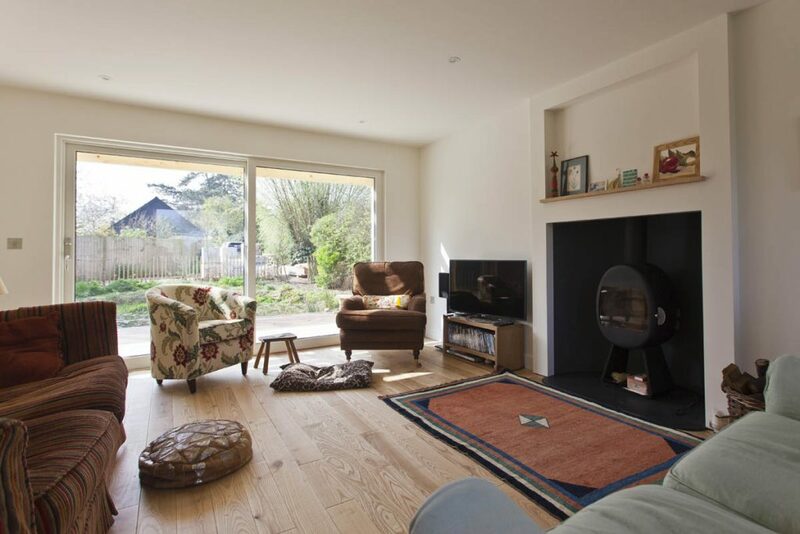 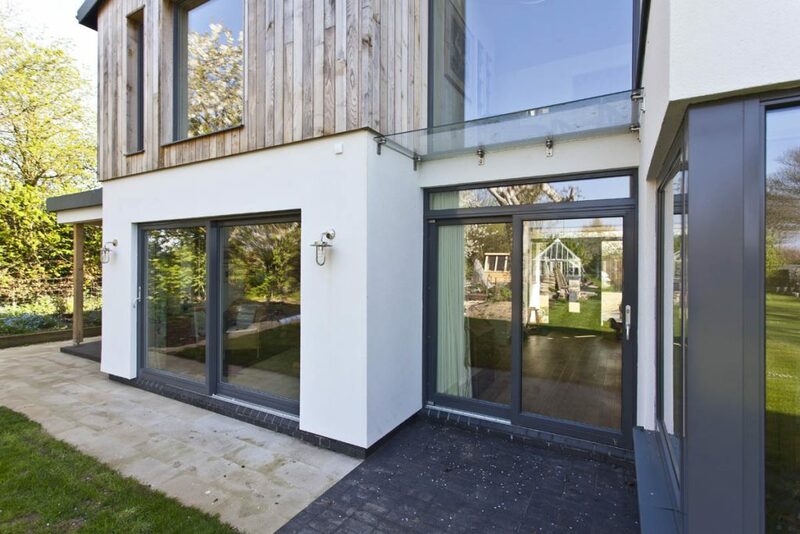 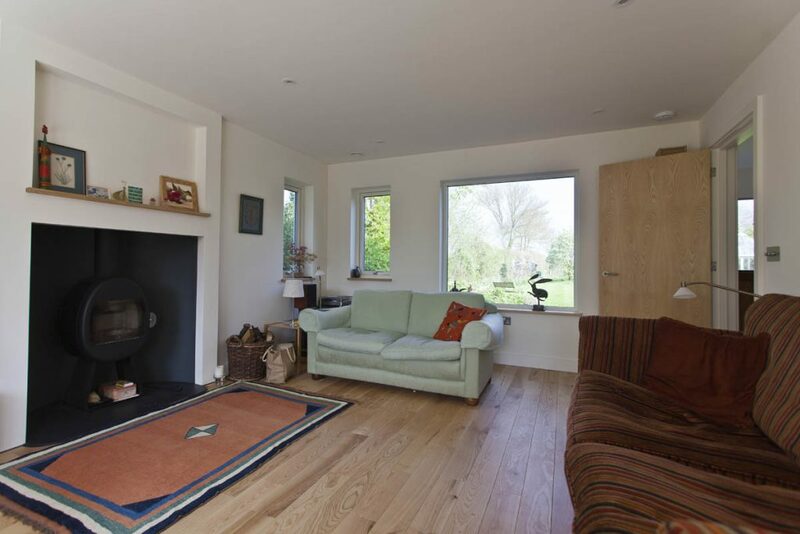 Picture windows including a floor to ceiling window in the landing really offers the wow factor and the fantastic outdoor living space is accessed from the front and back of the house through three sliding doors. 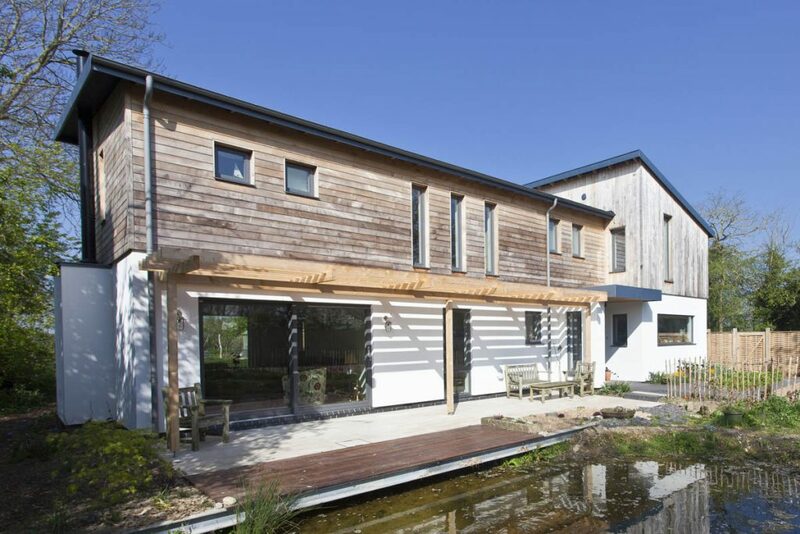 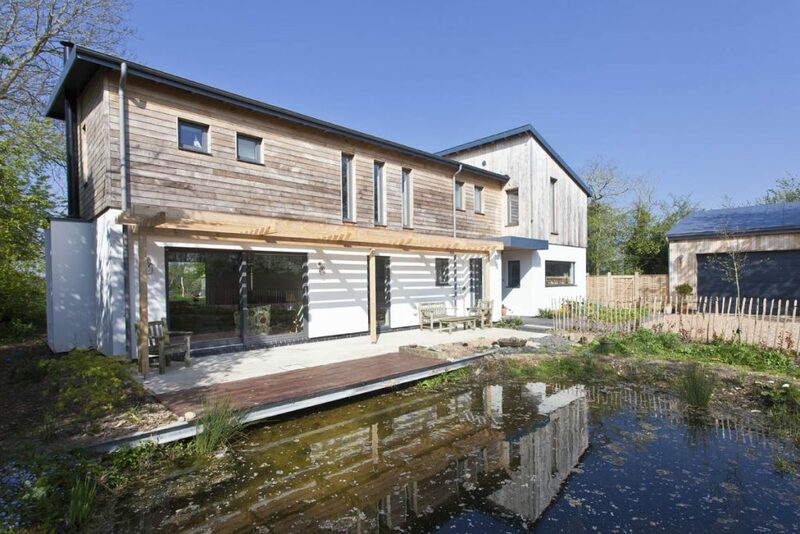 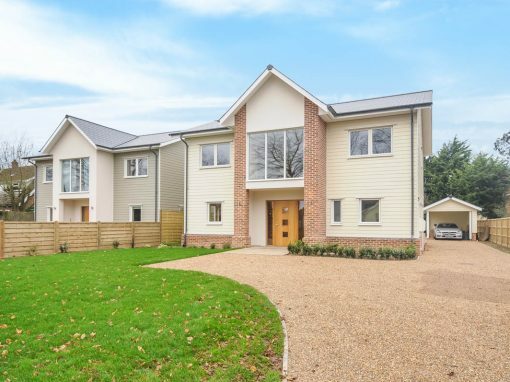 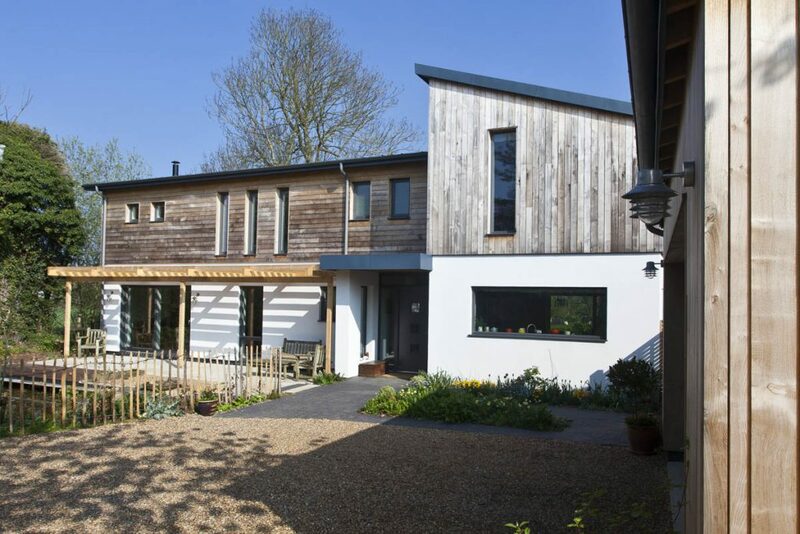 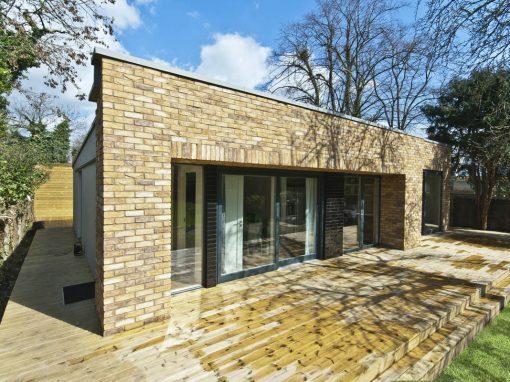 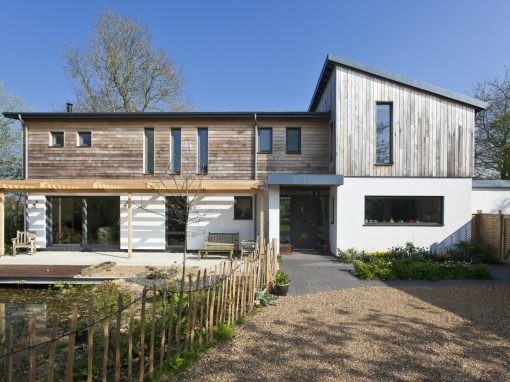 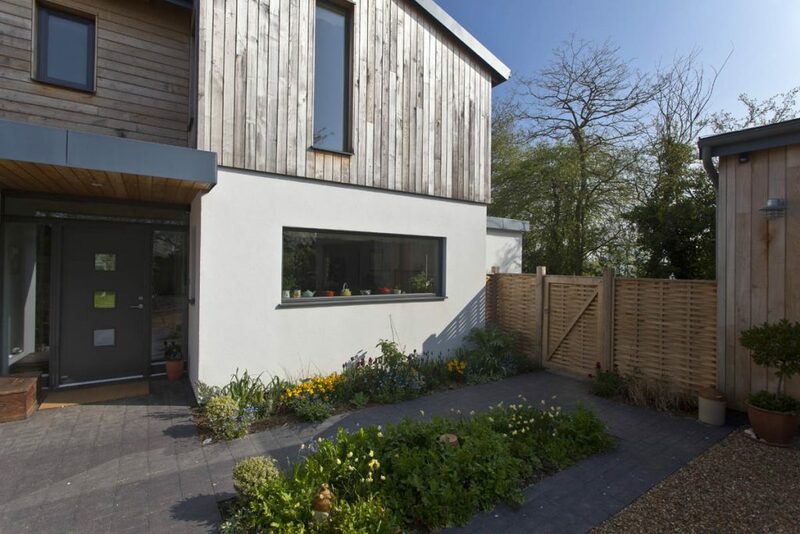 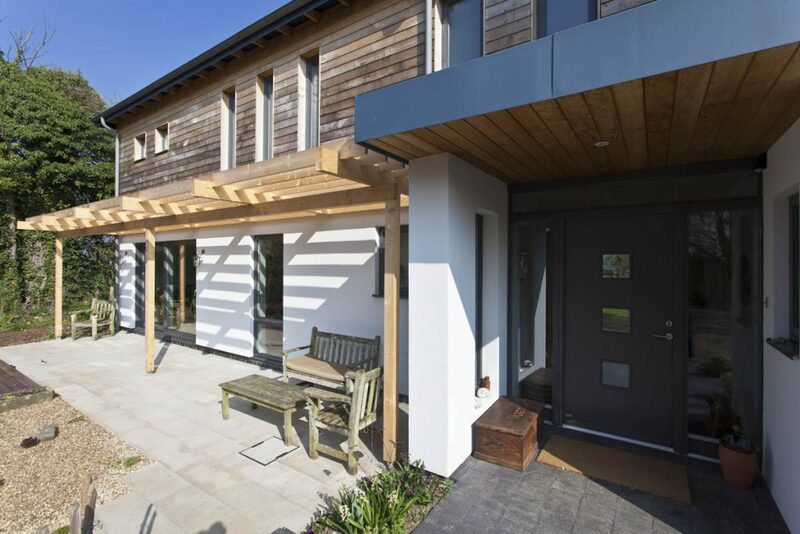 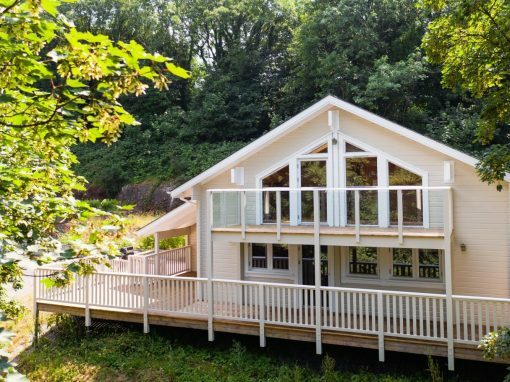 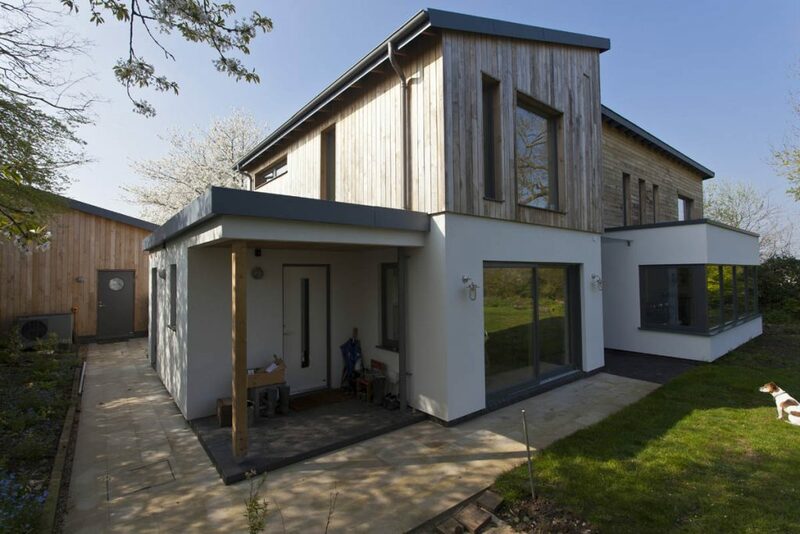 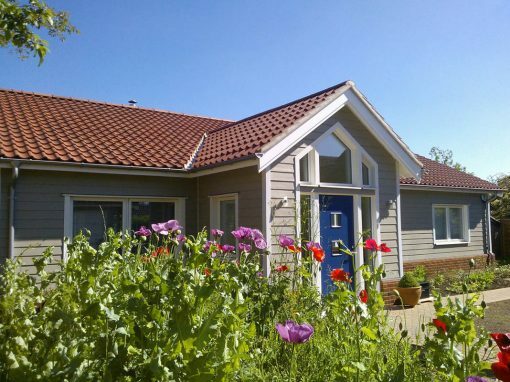 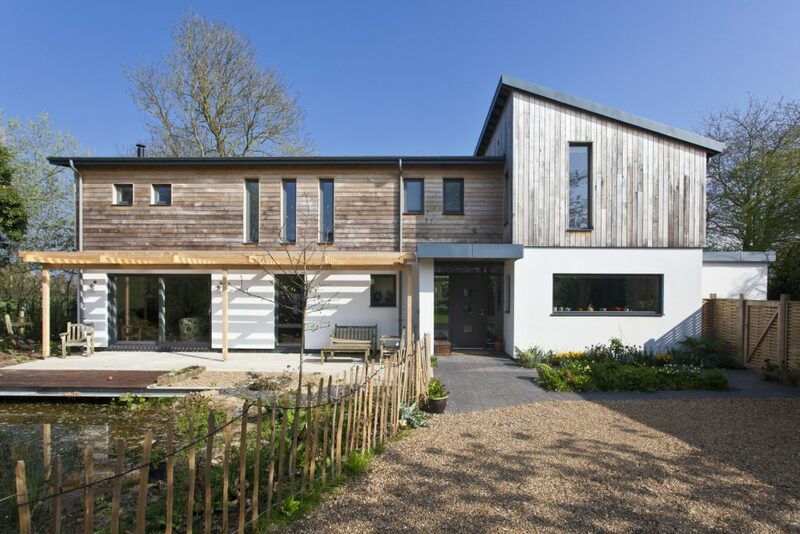 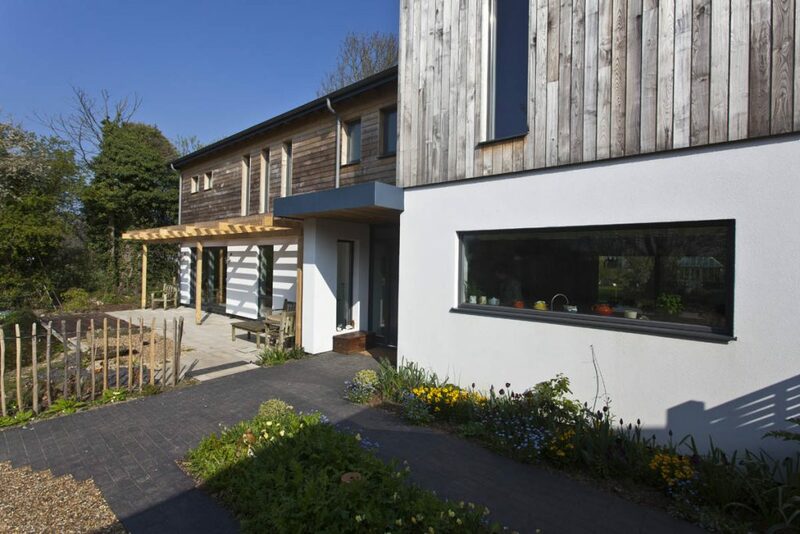 The stunning aesthetic was finished off with a combination of Sweet Chestnut cladding and a monocouche render system which completed the modern outlook to a sustainable energy efficient home for the future. 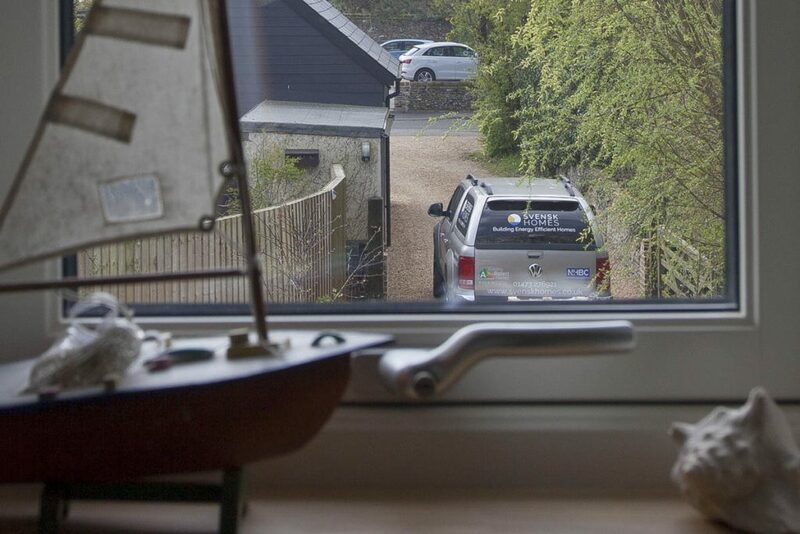 A year into living in our new home we remain as delighted as when we first moved in. 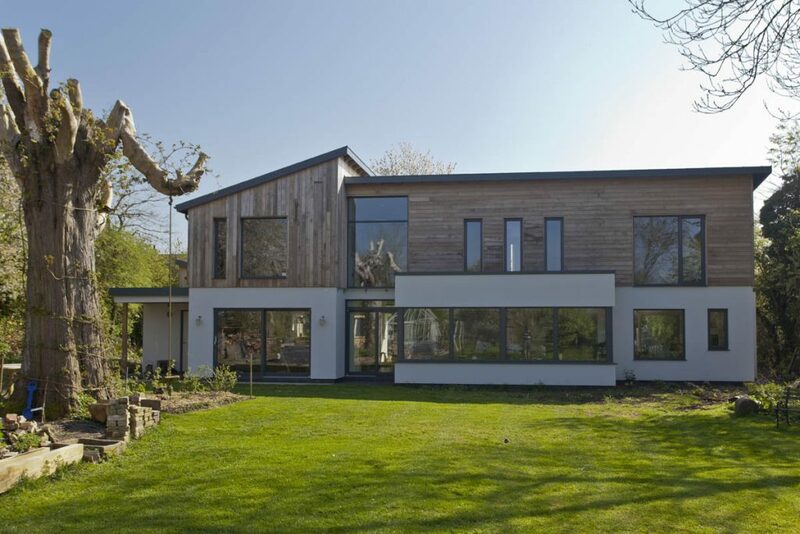 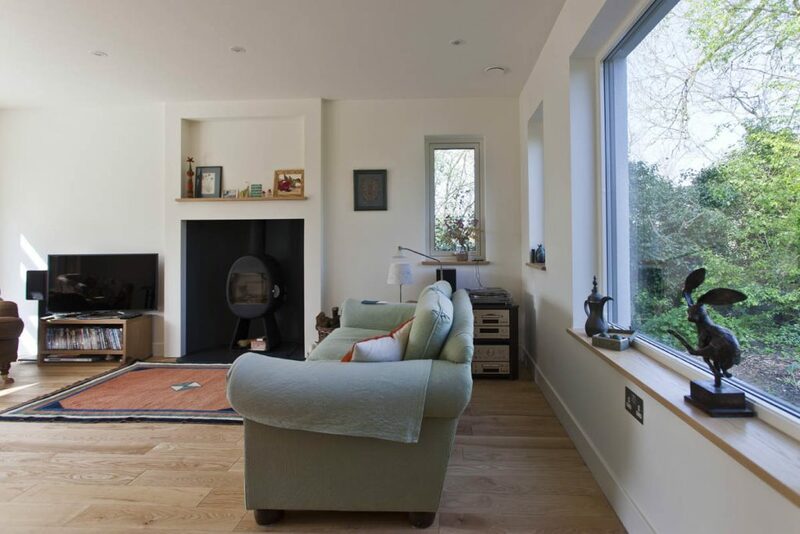 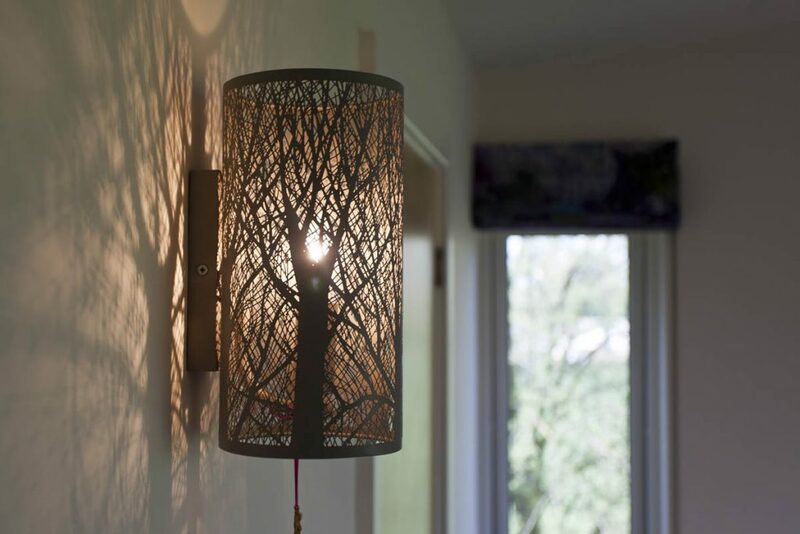 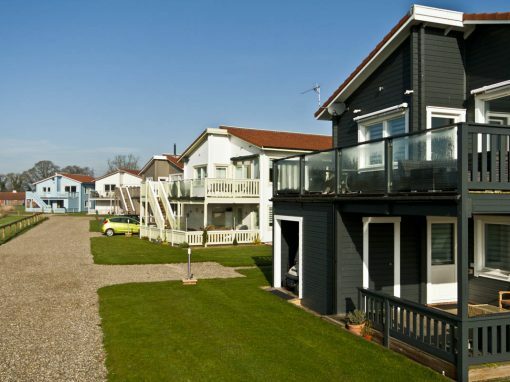 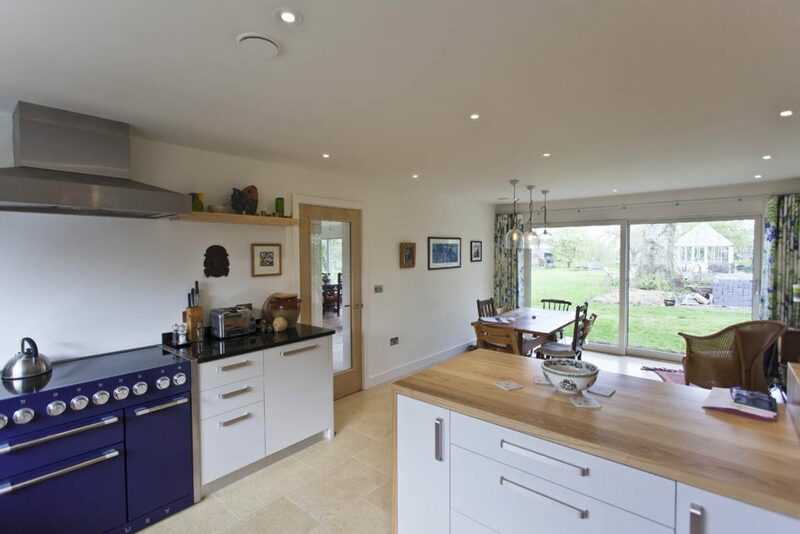 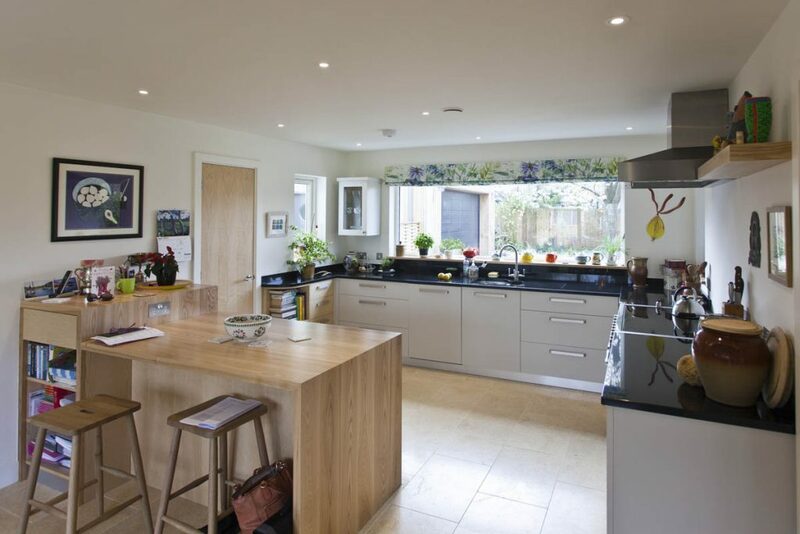 The quality of design and specification has given our family a light, warm, bespoke home in which to live, work and play. 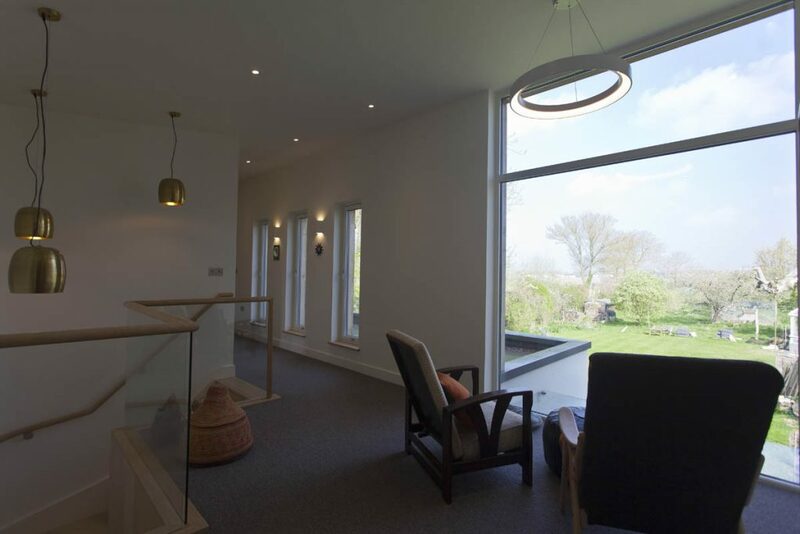 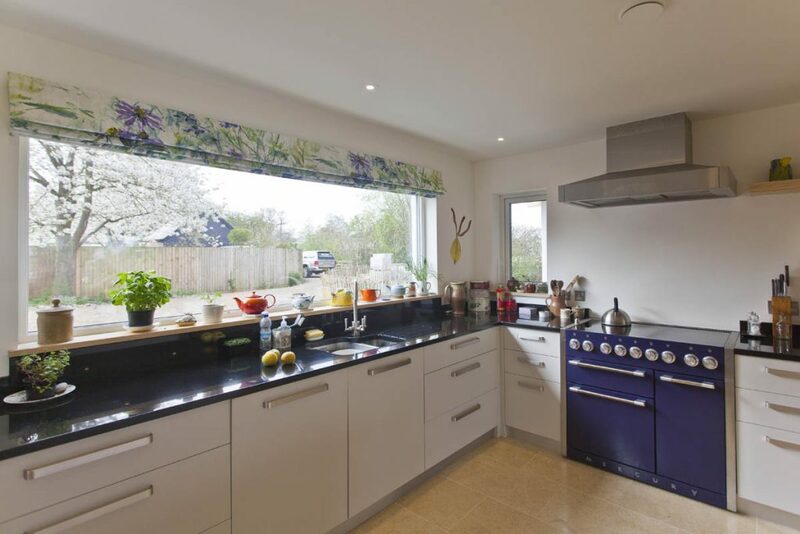 Our Designer, Chris Game of Plaice Architects, worked closely with Svenskhomes to create an interesting flexible layout, full of light with beautiful details and advantage taken of the views out, both extensive and local. 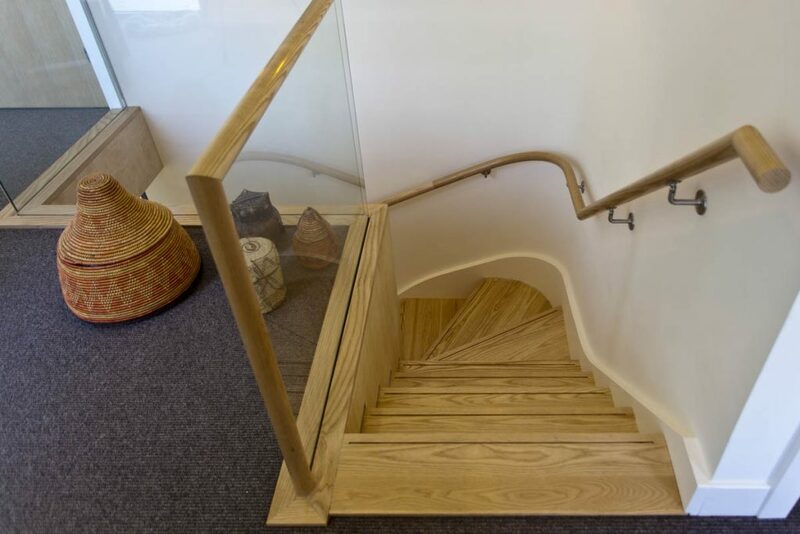 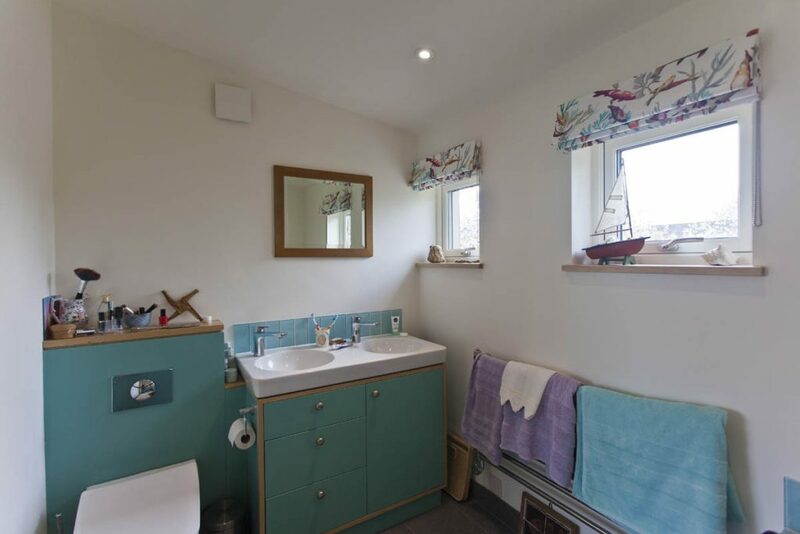 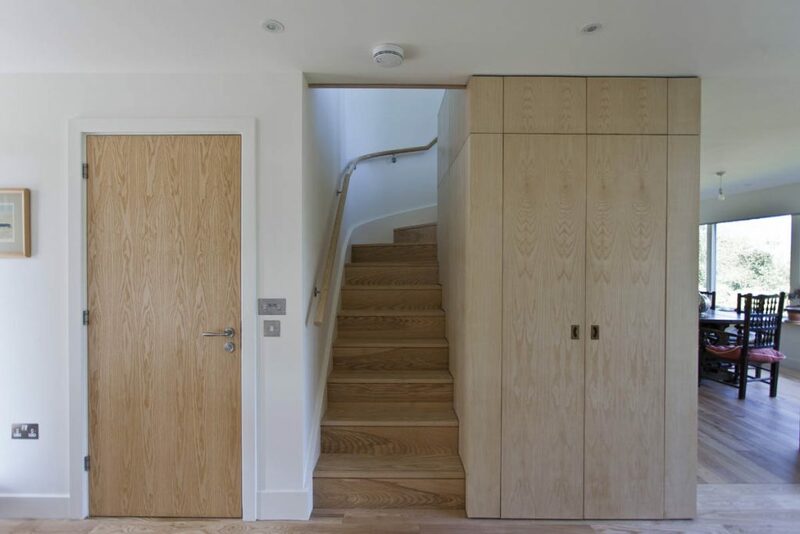 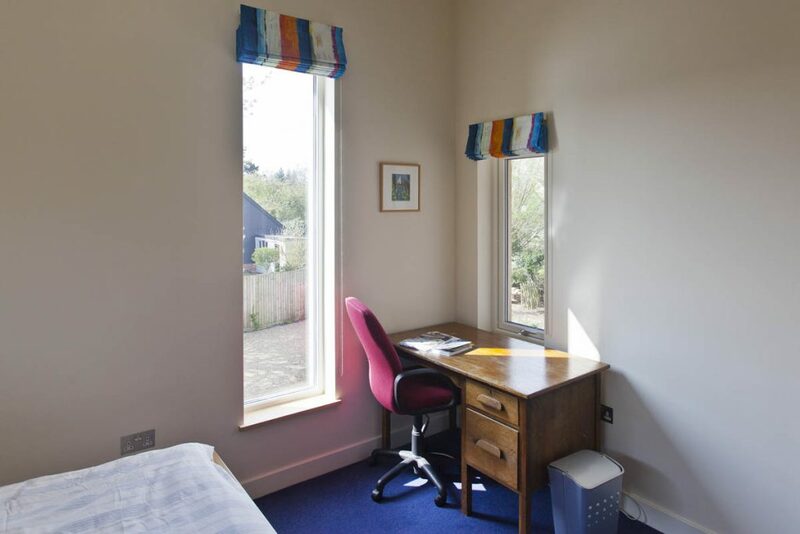 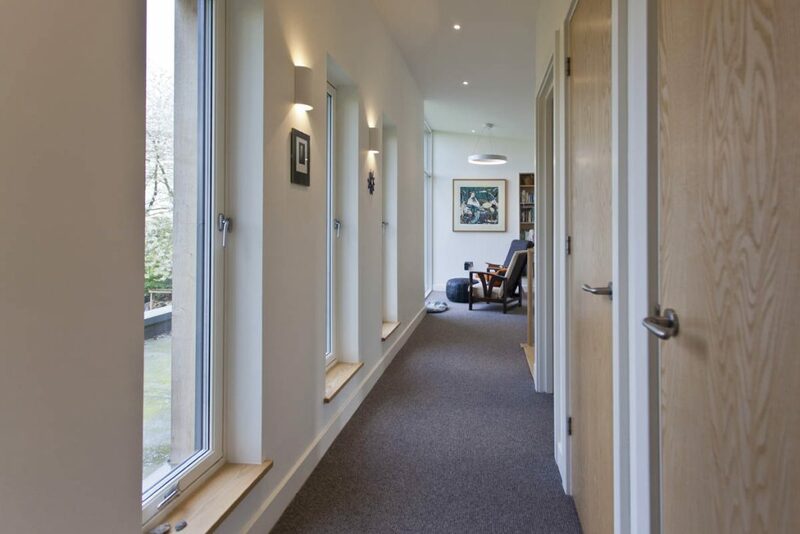 The building structure provides a solid, warm and extremely energy efficient property and by working with local craftsmen a high quality of detailing has been achieved throughout. 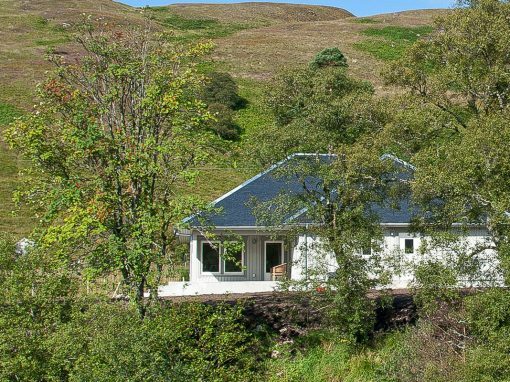 The end-product is a property that is truly self-sufficient offering virtually no utility bills. 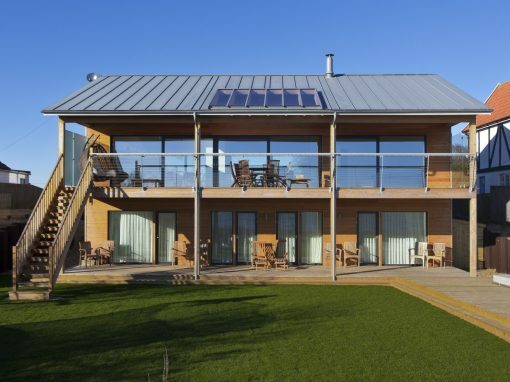 Yet another excellent example of a highly energy efficient Svenskhome.